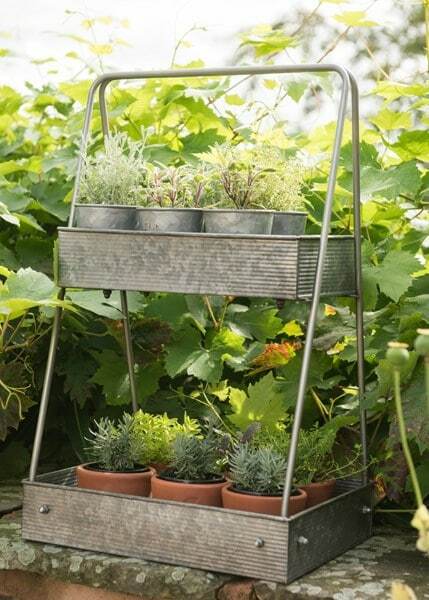 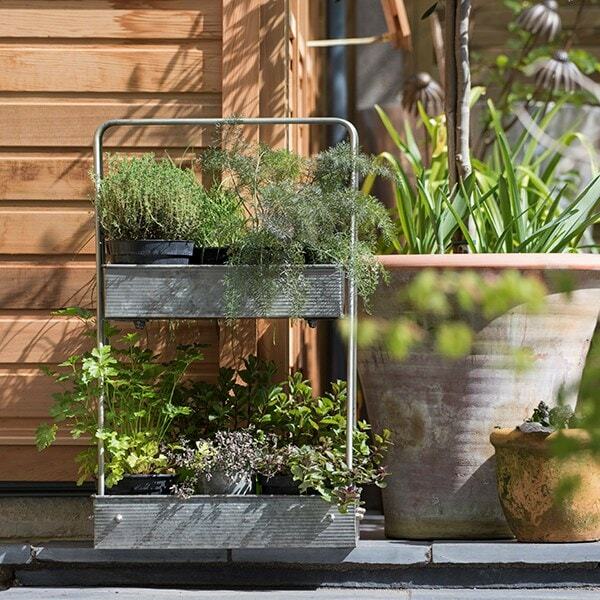 This lightweight metal two tier caddy is an easy and attractive way to display and transport your plants. 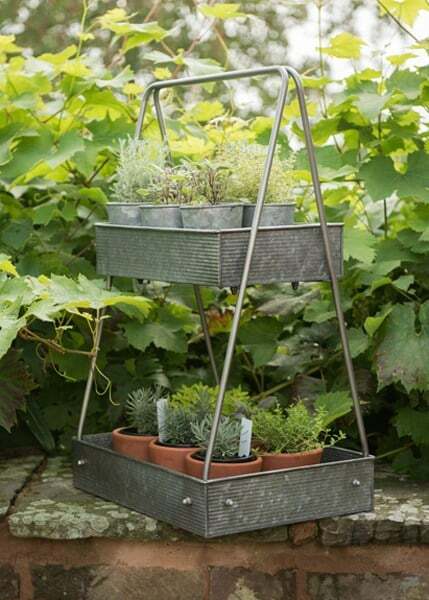 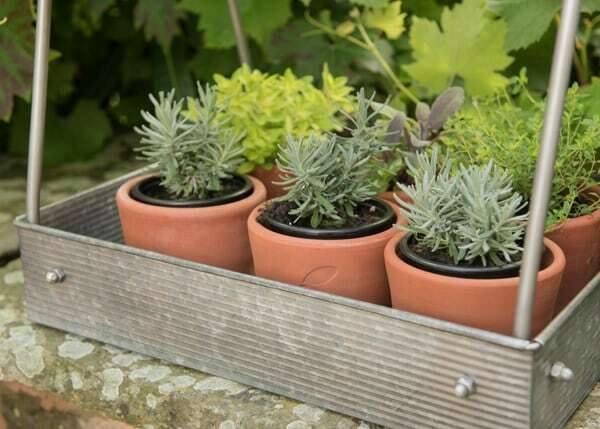 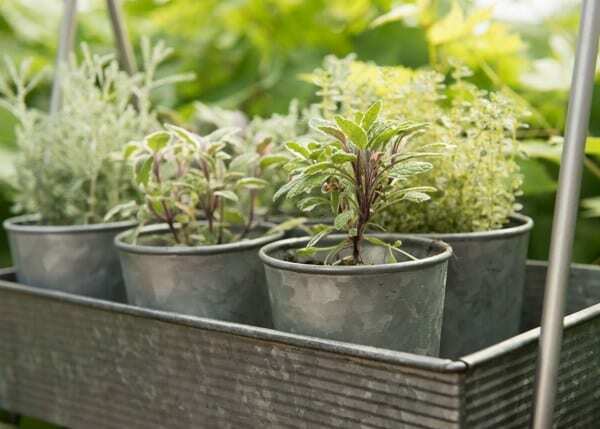 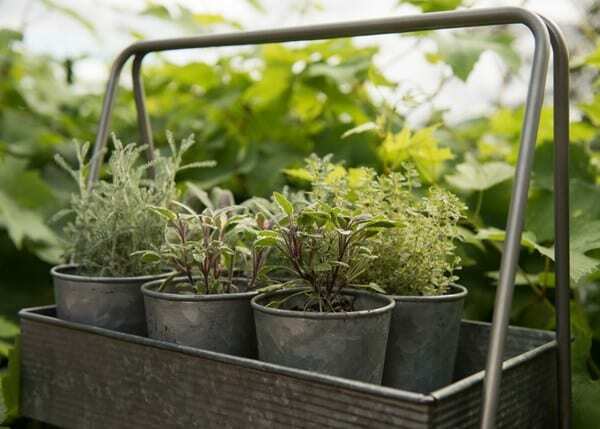 It also comes in handy to store and carry tools and supplies around the garden. 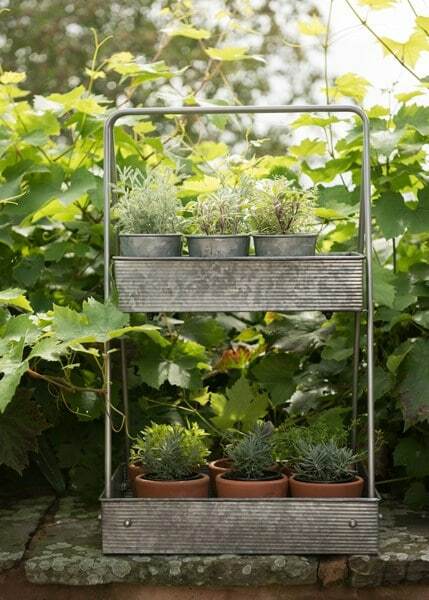 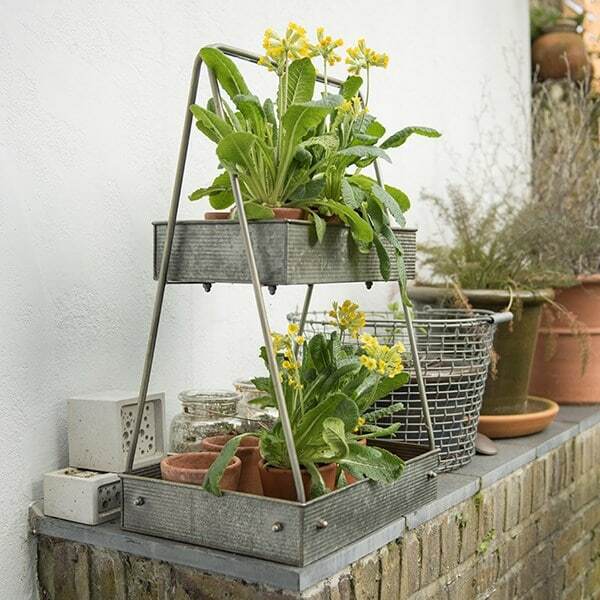 The sturdy rust-resistant caddy is made from powder coated Ø 10mm steel rod and tough galvanised sheet steel.